When you think of YouTube, what is the first thing that comes to mind? Funny videos of cats? Music videos? Pirated clips from popular movies? If you are an e-commerce professional, you should be thinking about how you can use YouTube for e-commerce. The world's most popular video sharing site can be used for marketing and sales. Believe it or not, this social media gem can be one of the greatest tools for e-commerce businesses. The primary reason for using videos in place of traditional marketing is the versatility of the medium. You can provide quick fire information that is sure to draw a crowd, all with very little work involved in the actual video. A good example of this is in demonstrating product use. Let's say you were a clothing company trying to establish yourself as a unique brand. Normally, an apparel e-commerce specialist would just have pictures of the clothing and a simple description. But this is only valuable for website-specific sales. You could expand on the idea by making videos showing outfit ideas, advice on color combinations, and accessories. All the while showing off items you have on sale right now. Not only would this give the customer something to look at, but also it would be easy to share on other social platforms like Facebook, Twitter, Google+, and Pinterest. You can provide a direct link in the video's description to the relevant product description page to connect it to your site. All this for the price of producing the video. Another tactic is about involving customers more directly. This is a great idea for generating brand loyalty, and getting repeat views on your videos, your website, and social media profiles. Commonly, this is done through contests. You could ask your customers to make a video of himself or herself, saying what they love most about your product, or simply using it. You can also appeal to their creative side by asking them to make an ad, or a short film, that uses an item purchased from your store. A prize could be awarded, but there is also the benefit of being showcased as a winner. Because it can be used as part of a portfolio, you will be sure to gain the attention of quite a few amateur filmmakers, designers, and students. Plenty of big names in business have utilized YouTube for their gain. 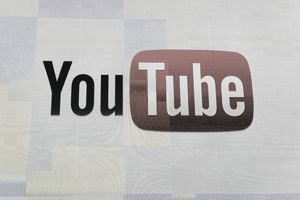 From corporate brands to large institutions, their presence can be easily found on YouTube. Sometimes taking a look at their progress is the best way to get ideas for your own business. Best Buy: This is one company that has always managed its social media well. Their YouTube channel is probably the best example of this. Not only did they fully customize their page, but they customized the playlists to a greater degree as well. They have created different subchannels, all to give different user groups a more targeted experience. This has worked out well for them, given their subscription rate. They frequently post videos about products, deals, and customer interaction pieces. Then they connect it all to their official e-commerce website, Facebook, and Twitter pages, to tie it all together. Geico: Don't want to make new content? Geico proves you don't have to. Already finding a great deal of success with their commercials, they have made their YouTube channel a place to find all their commercials. You can see all their videos based on campaigns, such as the Piggy, Gecko, Caveman, and Taste Test ads. But on their page, you will a notice a "Get a Quote" button. It is a simple and elegant way of bringing in new customers. There is a reason that large and small brands alike are using YouTube more than ever. Some of the features that make YouTube e-commerce friendly are easily customized channels, promotional search algorithms, and subscription lists. For e-commerce businesses that need a social media injection, there is no better way than to move into the area of viral videos. Plenty of sites have shown the marketability of the medium, and it is a low-cost solution that generates amazing results.